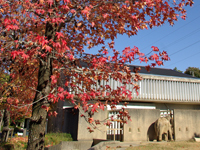 Hamamatsu Zoological Gardens is a zoo located by Lake Hamana with wonderful natural environment. Of more than 100 animal species raised here, the number of Primates is one of the largest in Japan, and so is the raising experience of them too. 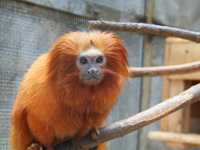 Especially golden lion tamarins who are small monkeys with beautiful golden hairs are very precious because in Japan they can only be seen here (original habitat in Brazil/ endangered species). Besides them, the animals originally live in Japan such as Japanese monkeys, Japanese wild boars, and Sika deer are also raised here. Since the natural terrain is taken in the gardens, the gardens undulate moderately and have many kinds of plants to be seen when walking. 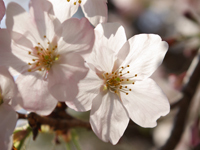 Cherry blossoms in spring are beautiful, and leaves change color in autumn. 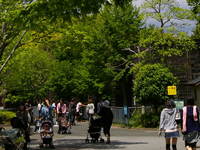 Come and enjoy Hamamatsu Zoological Gardens! Do not feed the animals. Do not do mischief either. 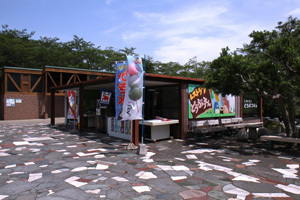 The animals are gradually taken indoors from 4:00 p.m. Some animals may not be seen then. The area beyond the no-entry or no-go sign is the administrative zone. No admittance except staffs. Food and drink is allowed. Please use open spaces and benches, and take care not to disturb other visitors. No littering. Please put your trash in trash cans or take it home. When putting trash in a trash can, please follow the sorted collection. Collecting insects and plants is prohibited. Please refrain from making a nuisance of plays such as ones with balls, badminton, flying discs, and scooters. In an emergency, follow instructions given by staffs and escape from danger. 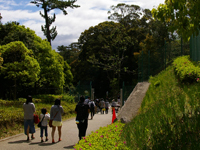 The highest hill in the gardens is 34 meters above sea level. 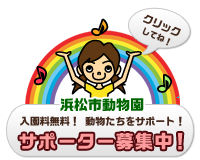 Copyright © NPO法人 浜松市動物園協会 All Rights Reserved.